The therapeutic mineral waters of Hepburn Springs provide absolute indulgence in beauty, nature and relaxation – perfect for a full day or a weekend away. The Hepburn Springs and Daylesford region, known as Australia’s spa capital, has the highest concentration of natural mineral waters in Australia and has been attracting visitors for health, healing and socialising since the early 1900s. The most popular destination to enjoy the mineral waters is at the famous Hepburn Springs Bath House, located in the Hepburn Mineral Springs Reserve. What began with two, then three small baths, has developed into a state of the art, relaxing and therapeutic destination. Here you can enjoy the mineral waters heated to different temperatures in a choice of relaxation and spa pools, and sample the waters in the European style gardens. Mineral waters have been used for bathing and a source for healing for thousands of years. The mineral waters of Hepburn Springs and Daylesford are a result of it being located in a geographically volcanic area. The waters begin their journey flowing through rock fissures along the top of the Great Dividing Range. They then percolate down to depths of five kilometres, absorbing minerals as they travel, and finally finding their way back to the surface. Because the waters travel different paths and absorb different minerals, the waters vary in flavour and quality. There are a number of small pumps located at at Hepburn Mineral Springs Reserve where you can sample and collect the mineral water, while you stroll the historic paths. Captain Hepburn was the first European to discover the springs here on his land in the 1830s. Tasting the mineral waters straight from the ground is free for everyone at the Mineral Springs Reserve. The paths are well sign posted for visitors, with historic information about the area. The Pavilion cafe is a great place for a coffee or lunch. This beautiful building, dating from the early 1900s, was built as a swimming pool for people to bathe in the mineral waters during the summer months. This was the heyday for visiting the spas for health and recreation. During the winter months, the pool was drained and the pavilion was transformed into a place for dances. 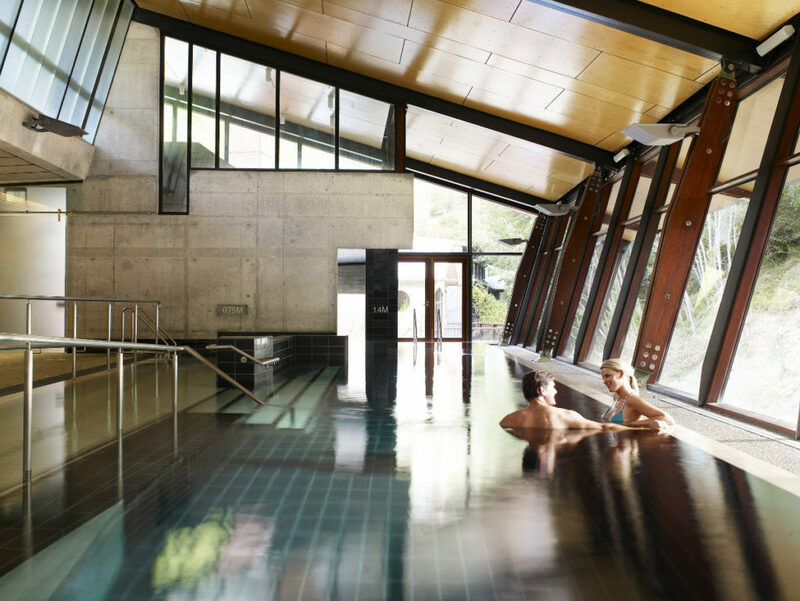 If you really want to experience the benefit of the waters, a visit to one of the pools or spas at Hepburn Bathhouse and Spa will leave your body feeling completely relaxed and invigorated. The Bathhouse is located within the reserve and offers a variety of different mineral pool and day spa experiences and packages, as well as massage and beauty treatments. Starting at just $40, you can enjoy the mineral waters in the relaxation pool (heated to 32 degrees) or the spa pool (heated to 35 degrees). The Aroma Steam Room, heated to 43 degrees, benefits the immune and lymphatic systems, as well as circulation, with warm circulating mists filled with different essential oil combinations. The salt therapy pool, with its magnificent overhead skylight is intimate and heated to 38 degrees. There is also a walk-in-cool-down room, outdoor creek bathing and a Moroccan Hamman. The day spa also offers private bathing and steam therapy treatments, luxury massage, facials, body wraps and scrubs, exfoliation and hand and foot therapy. For bookings and more information visit the Hepburn Bathhouse And Spa. Hepburn Springs is beautiful all year round. Popular times for enjoying the area is from Autumn through to Christmas. The Bath House is open all year, except for Christmas Day. Hepburn Springs is an easy 1 hour 30 minute drive from Melbourne, either up the Calder Highway or the Western Highway. If you are wanting a getaway that’s close to the mineral waters, staying in the small township of Hepburn Springs is your best option. This gorgeous little town has all the essentials, cafes and great dining. Hepburn Springs accommodation options include boutique Hotels as well as affordable and luxury accommodation. To be close to the mineral spas, why not book in at Saffron or Horizon at Hepburn Spa Pavilions. The villas overlook Hepburn Mineral Springs Reserve and offer guests five star luxury accommodation, stunning views, and hydro spas.